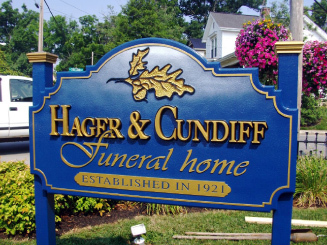 Our wood signs are designed to withstand the outdoors and are ideal for farms, schools, golf courses and neighborhood associations, businesses or organizations. Sign-Foam® is a closed cell structure, high-density polyurethane foam board. Sign Foam is unaffected by temperature or moisture, will not warp, split or crack, is 100% waterproof, and will not rot or decompose. 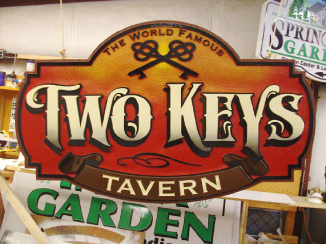 It is revolutionizing the sign industry and has proven itself as one of the most durable construction mediums available today. The heartwood varies in color from a pinkish red to a deep rich brown. The wood is straight grained and non porous and has a distinctive pleasant aromatic smell. Western red cedar (like redwood) is one of the lightest in weight of all the commercially manufactured coniferous wood species. The natural oils contained in the wood makes it highly resistant to insects and decay. Western red cedar has a proven track record for durability as seen by carved 400 year old totem poles found on the pacific coast that have had no protection from the natural elements. Historically western red cedar was used extensively by our first nations in all aspects of their daily lives such as the bark and wood for making clothes, baskets, canoes, dwellings, and roofs to name a few. and Custom Sign Cabinets to the sign industry.